Today, after being cooped up with C for 5 days, she went back to school. Poor thing was sick. She is feeling much better, although not 100%. I had a few errands to run and decided to stop at Michaels. I love craft stores and could spend hours and hundreds of dollars in them. But I set a limit on myself. 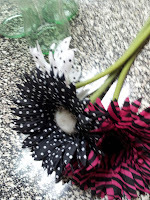 I was walking in and they had pretty fabric daisies on sale for $.79 they are normally $1.99. It was a great deal! 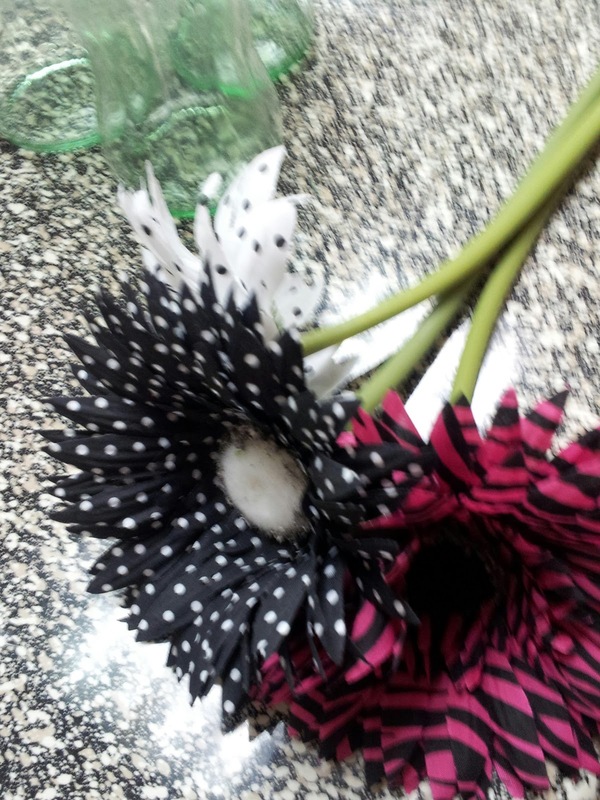 I have been trying to spiff up our little place, so I picked out 3. I looked around but didn’t see what else I wanted for the project. So, I wound up back at home. 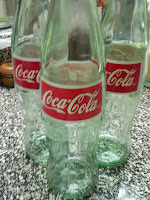 I had some glass coke bottles. Ding ding! 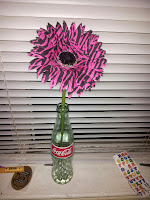 I cut down the stems using scissors and a wire cutter. Stuck them in the bottles. Cute… But missing something. I wound up at Dollar Tree. They have water beads. Just what I needed! Took them home and added them to each bottle. 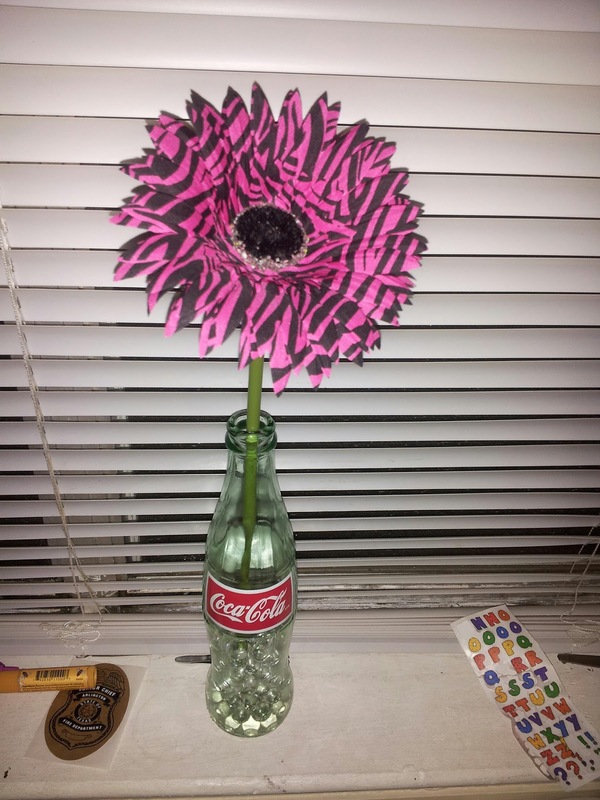 Inexpensive way to add flowers! I want to wall mount them so I will do a whole play by play on the whole process when I find the stuff to do it. For now they sit on our Window sill. Total per “vase”? 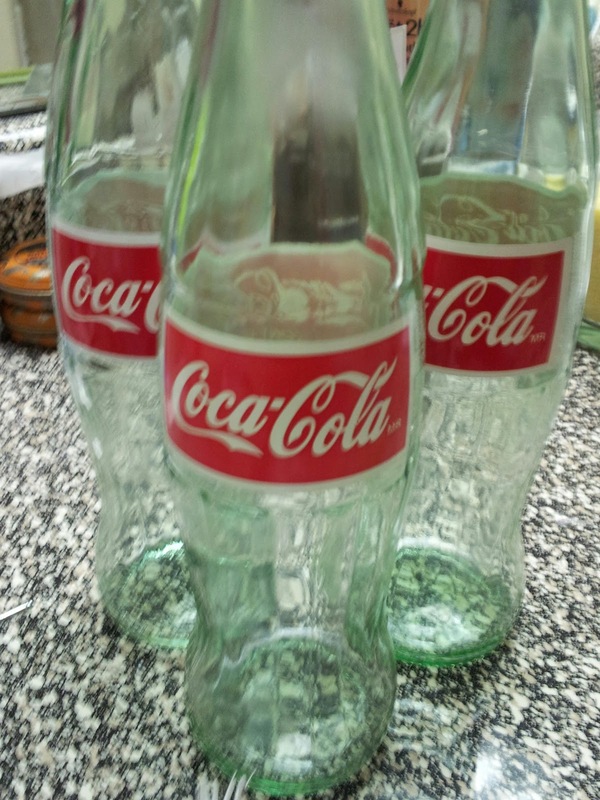 With the coke, about $2.82, but I had the bottles on hand so I only spent $3.37 plus tax. 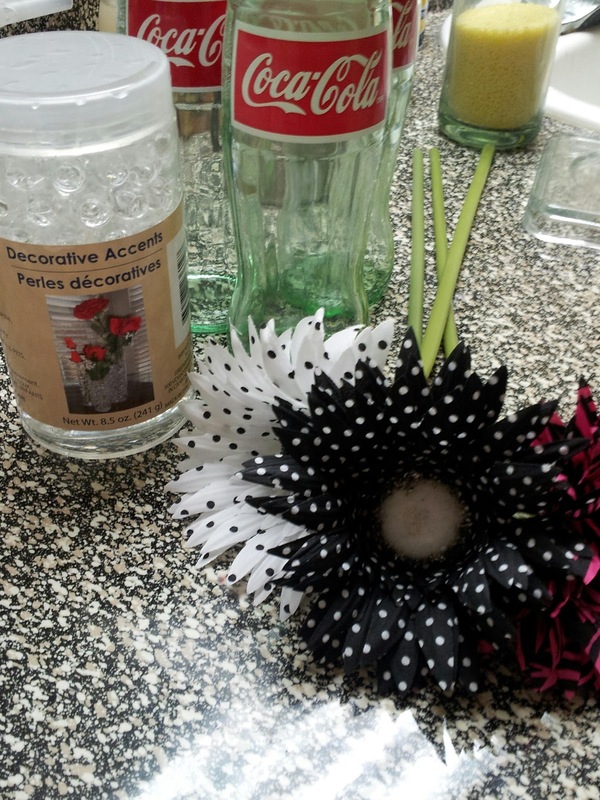 This entry was posted in cheap crafts, crafts, flowers. Bookmark the permalink.